Fabric Swags add an element of sophistication and softness to your event. Swags can be additionally embellished with twinkle lights inside them. Paper lanterns are a simple way to add soft mood lighting to weddings, special occasions, and everyday décor. We carry a hand selected assortment of paper lanterns in a variety of colors. Each type of paper lantern is at the top of its class for quality, style and lighting effect. 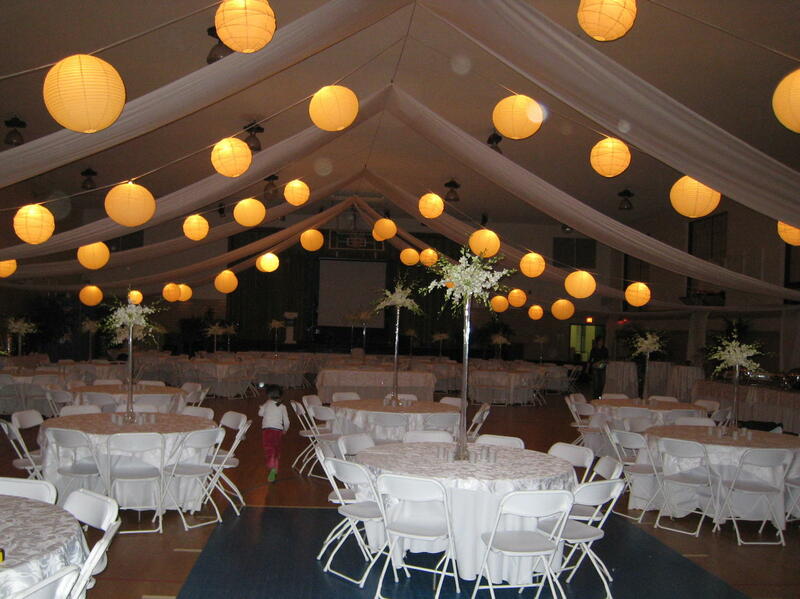 Customize your decorating with round paper lanterns, or combine or attach them to bistros for an added effect. We also offer battery powered LED paper lantern lights with remote controls for an additional cost.